Edit: Replaced the pic...the old, external one wasn't working anymore. Congratulations! Very best of wishes for little Egon/Egonnetta - have you thought of a name yet? Congratulations and best wishes for you and your family. 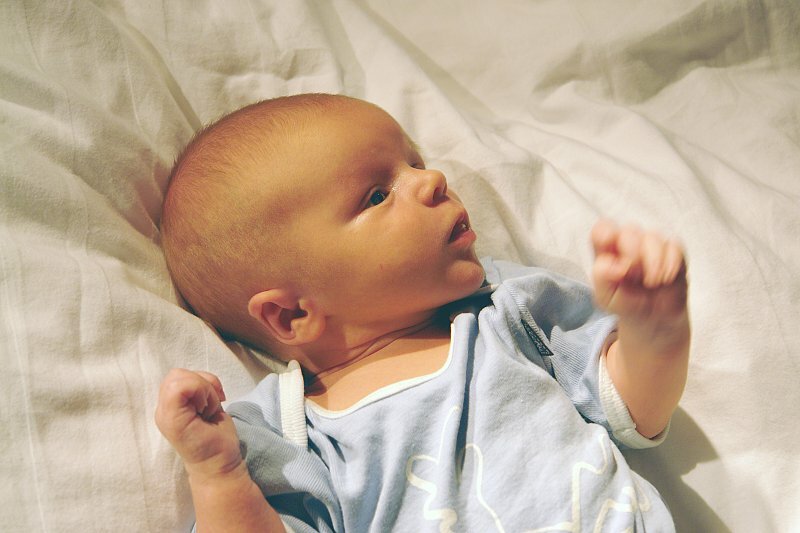 It's a boy and it's called Jarne (a nordic form of Georg). Congrats! und alles gute euch! Major congratulations! I would imagine that the alpha build required six to nine months to compile. Congratulations!!!!! Good luck with the new guy! Congratulations! I predict you'll be getting less sleep and learn to cradle Jarne back to sleep with one arm and program with the other...err, well sort of program...ok, well, probably not really program much but well ok, JPCT becomes "Jarne's Papa's Computer Thing". Congrats, am very happy for you. Congratulations, pal. I had mine on the 23rd. I didn't want it for nine months, but now that it's out it's the most gorgeous being I ever saw. Mine's also a boy named Lucas. And for the guy who wished for good AI, let's just call it I (or perhaps NI?)! Congratulations! For me, it was different. I wanted him for 9 month, but when he was "finished" it took me a few days to really accept him as my own child not just as some child. Page created in 0.856 seconds with 16 queries.